Dr. Maroun El Khoury completed his basic medical training from Saint Joseph University School of Medicine Beirut, Lebanon in 1999. He completed his US Board Certification in Pain Management. (2003) and both Oncology & Hematology in 2006. 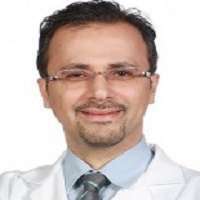 Prior to joining us, Dr. El Khoury was working since July, 2006 as an Attending Physician Hematology/Oncology at the Great River Hematology and Oncology Iowa USA. He also served as Medical Director & Chief of Medicine at the same place and co-directed the hospice and palliative care program. He is also a member of the American Society of Clinical Oncology, American Society of Hematology and American Academy of Pain Management.